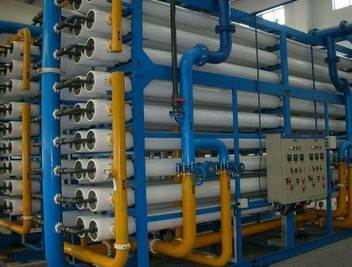 Industrial reverse osmosis membrane elements are suitable for a wide range of industrial applications. 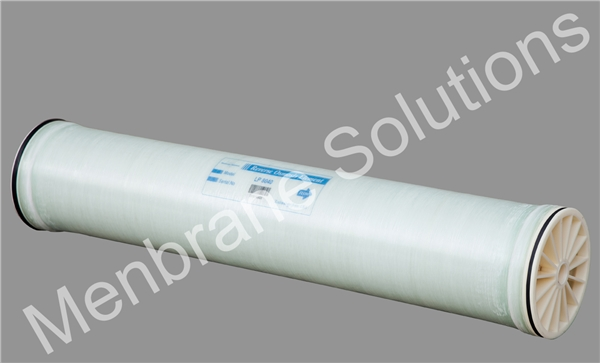 Low Pressure Industrial RO Membrane Elements and Ultra Low Pressure Industrial RO Membrane Elements have the properties of low operation pressure, high permeate flow and salt rejection, which can decrease the investment costs for relevant facilities and operating costs for the RO system. It is mainly applicable to treatment of industrial water with soluble salts, TOC, SiO2, etc. The products are suitable to treat waste water with TDS lower than 2000 ppm. 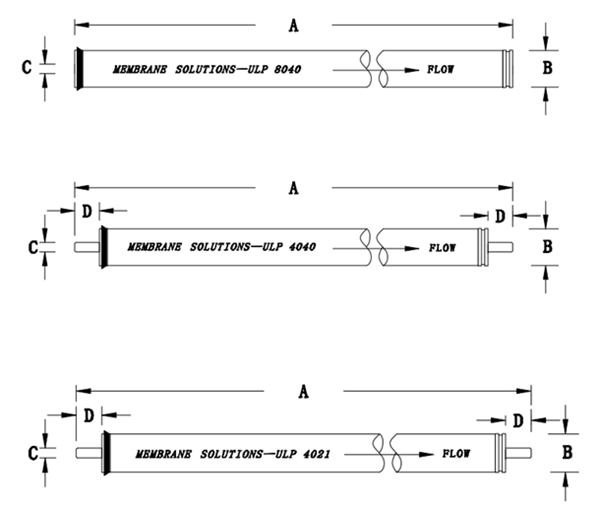 High permeate flow and salt rejection under low pressure. Achieve a salt rejection rate of up to 99.5%. Reduce operating costs for the RO system. The permeate flow listed in the table is the average value. The permeate flow of single membrane element is with a tolerance not exceeding ±15%.